The excitement and anticipation for what Hyundai is prepared to offer with the N Sport sub-brand have grown as we see the new Veloster N that will arrive later this year. Shown to us at the Detroit Auto Show, we know this new sub-branded car will have a serious focus on performance with a 275 horsepower engine under the hood that should rocket this car around the tracks or on the roads that you want to drive. The interest in this new car is impressive, but so is the new information found as to what else Hyundai will offer. It shouldn’t come as any shock that Hyundai is planning to find a way to capitalize on this new sub-brand as much as possible with more for this name than just the sports cars. In much the same way as the previous company that Albert Biermann worked for, it appears there will be a variety of ways to receive some of the N treatments on nearly every model in the Hyundai lineup to give us a group if impressive new models that will begin to arrive for the future of driving enjoyment and excitement on the road. As the former head of the BMW M Division, Albert Biermann led the way to bring a long list of models to BMW that had the M treatment. For Hyundai, he is working to add an N Sport variant to nearly every model in the lineup from Hyundai to make it possible for us to have vehicles that have some of the treatments and performance attributes that we can enjoy with the look and feel of the items that we’re already seeing in the new Veloster N that will arrive later this year. 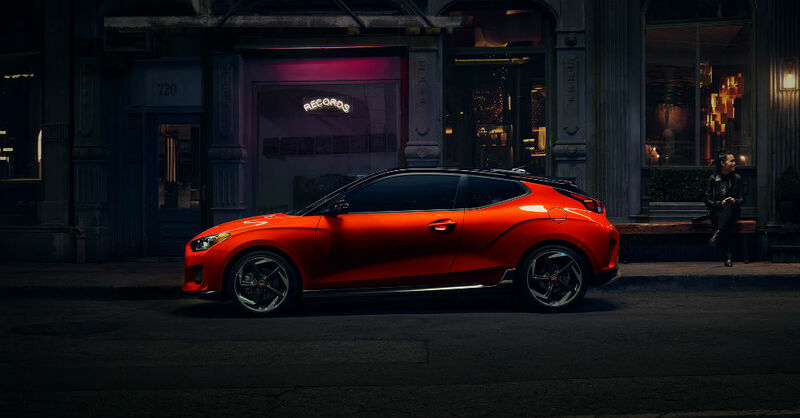 The expectation is the new N Sport models will be tuned for a sporty driving experience, but won’t be offered with a different, engine, bigger brakes, a new suspension, or different axles which are what we see the Veloster N offering when compared to the standard Veloster model. While we do have a tuned up Veloster in the R-spec model already on the market, the N Sport model could make use of a different form of tuning in order to have better performance qualities from the standard equipment that can be great for the drive on the roads and at the track. Imagine a future where we see an Elantra N Sport or a Sonata N Sport in the sedan area as well as a Tucson N Sport or Santa Fe N Sport for the driving fun you want in an SUV. These tuning changes could make the lineup from Hyundai even more pleasant and attractive to us for the driving enjoyment we want and Biermann is certainly the right person to lead the way and bring this thought to a reality. No word has been shared regarding when we might see the N Sport models offered, but considering the tweaks that would need to be made, it could be sooner rather than later.